CHICAGO, February 13, 2019	(Newswire.com) - Forte Group, a Chicago-based software solutions and managed services company, today formally announced the expansion of two new enterprise engagement models under the umbrella of Global Services and Solutions (GSS). Forte Group created these engagement models in response to an increasing demand for client flexibility and outcome-based software delivery in the Chicago market. GSS will operate as a fully dedicated business unit that will partner with enterprise IT and business organizations to accelerate and evolve their software engineering efforts and develop key software solutions. GSS is comprised of Managed Services and Solutions. Managed Services partners with IT enterprises by offering a dedicated, cross-functional team or teams that seamlessly integrate with an existing IT enterprise team or one or more existing product lines to accelerate and evolve delivery and engagement. The Solutions model offers business organizations and their IT teams the ability to build or rebuild a custom software application without concerning themselves with “how” that application emerges and evolves. Solutions is fully outcome-based, focusing the client only on what is valuable to their business. That value is effectively achieved through the active engagement with the onshore product owner. “We created GSS because we see a need for greater flexibility in the process of building software with clients whose value and priorities are constantly shifting,” Cornel (C.J.) Montano, Forte Group Partner and GSS Managing Director, said. “Companies need the right engagement model where it makes the most sense. Whether a client needs to bolster its IT staff to scale production, improve IT processes, or turn an idea into a business solution, we have the right team that’s custom-tailored to the job. Montano, a pragmatic agilist who frequently compares software engineering to fine craftsmanship, founded Agile Unicorn, an agile solutions consultancy startup, in 2015. Prior to launching the business, Montano worked in agile engineering, quality assurance, and product management leadership positions with CME Group, kCura, and Echo Global Logistics. In 2017, Montano joined forces with Forte Group to bring his vision of a high-value managed service to life. Forte Group is a full-service software solutions and managed services resource that helps IT enterprises, business operations, and tech-driven companies accelerate and evolve. 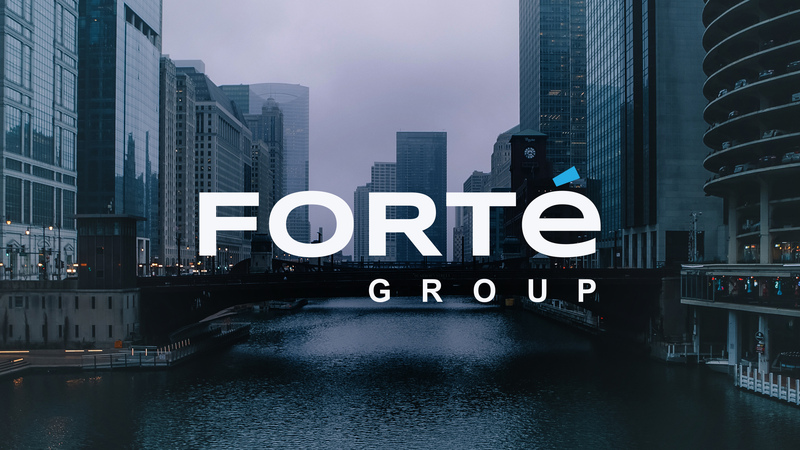 Forte Group offers exceptional talent, value delivery, and engineering maturity that expands development teams, scales enterprises, and brings business ideas to life. The company, founded in 2000, is headquartered in Chicago with delivery offices in Belarus and Ukraine. For more information on Forte Group, visit www.fortegrp.com and find Forte Group on LinkedIn and Twitter. Forte Group is a full-service software solutions and managed services resource that helps IT enterprises, business operations, and tech-driven companies accelerate and evolve.